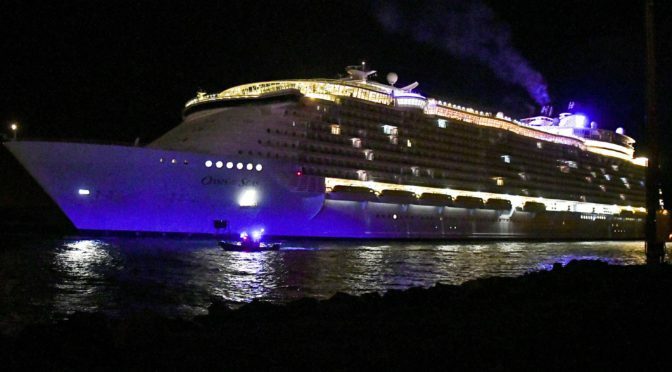 Royal Caribbean customers are learning Oasis of the Seas will not be sailing out of Port Canaveral on three dates in April after damage caused by a crane in the Bahamas. Sail dates for April 7, 14, and 21 have been canceled, Royal Caribbean told customers via Twitter. @RoyalCaribbean i am hearing the next 3 sailings are cancelled for the Oasis if the Seas yet I haven’t received an email and when I called i got no information – can you confirm? @RoyalCaribbean So seeing that 4/7 is cancelled, what happens now? Flights and all? @RoyalCaribbean has my cruise on Oasis been cancelled for this Sunday? I called your customer service number and they said it was still sailing this Sunday.